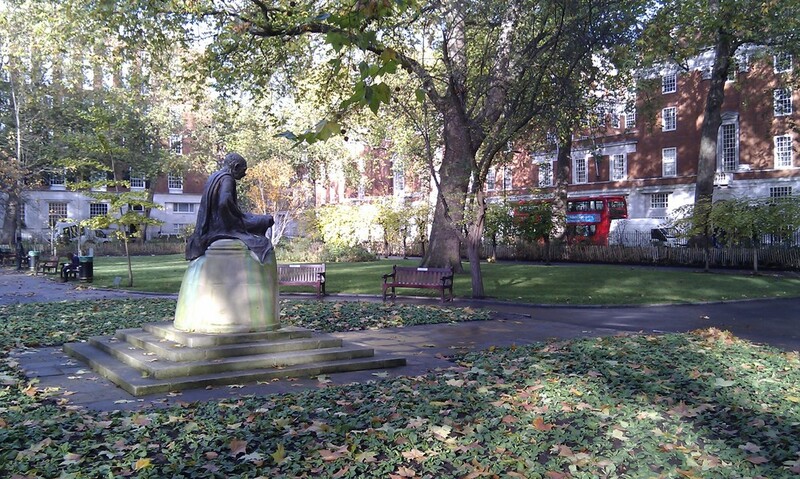 The Square has seen a sad time recently but it is one of my old haunts and I have eaten many a lunch sitting on a bench, sometimes with friends, and watching the people, birds and squirrels. 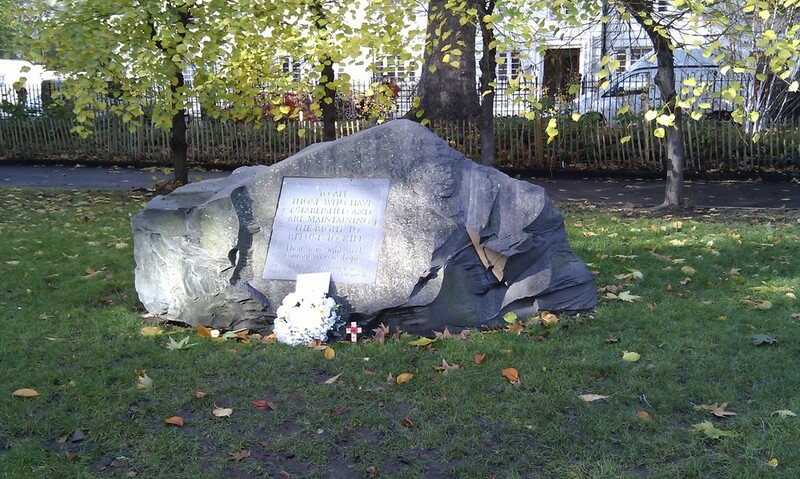 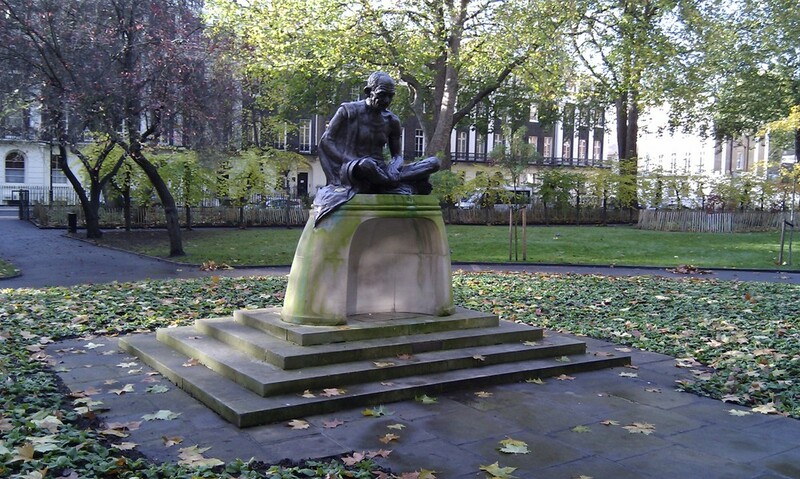 Bloomsbury has several such squares, all rather lovely, but Tavistock Square has the famous statue of Gandhi and the memorial to those who died in Hiroshima in 1945. It is (clich?? coming) an oasis of peace amidst much fine Georgian architecture, although there are some more modern but mostly appropriate buildings.